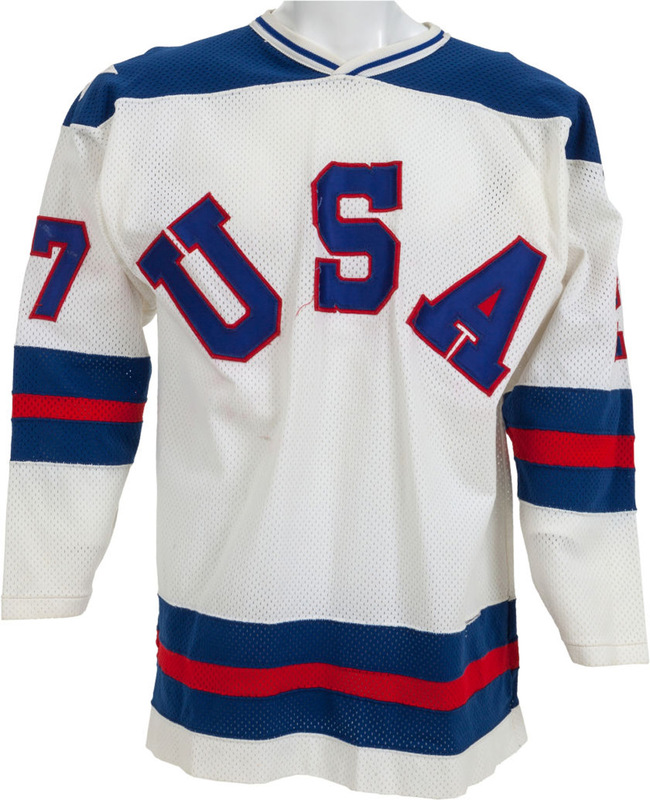 Last year Mike Eruzione’s “Miracle on Ice” hockey jersey sold for $657,250 at Heritage Auctions. 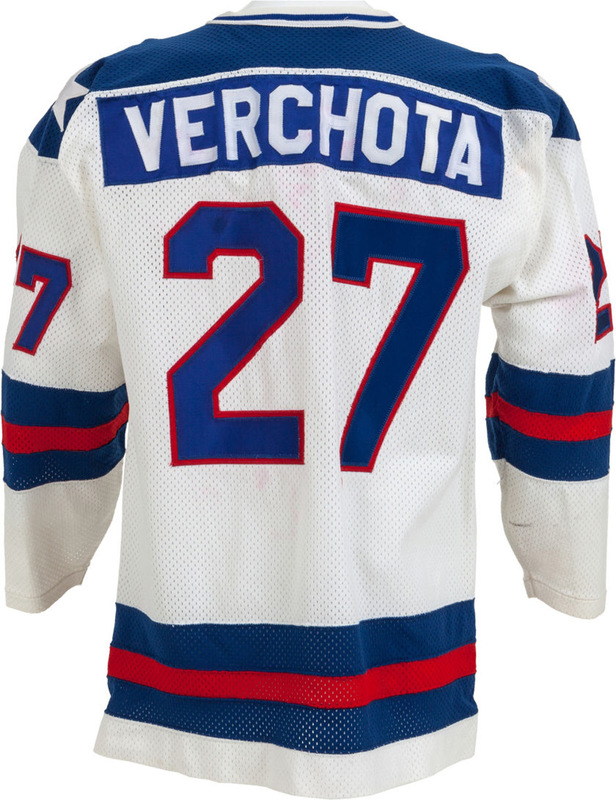 Now, one year later one more relic from the most significant contest in American sports history, worn by star forward Phil Verchota during the fabled “Miracle on Ice” has been offered by the same auction house. 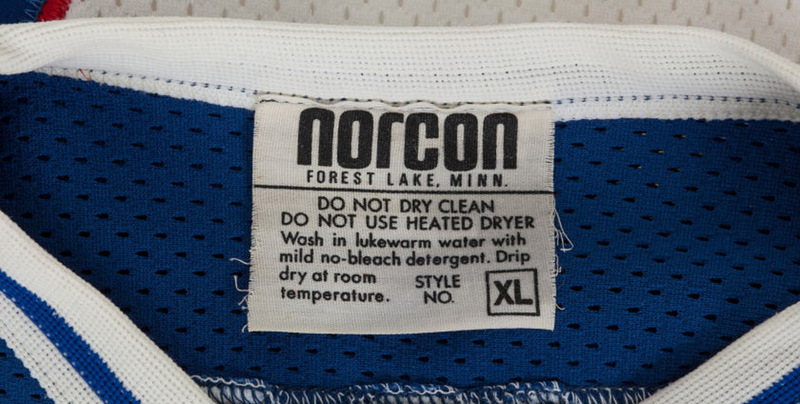 The jersey bears the manufacturer’s label of “Norcon,” a sporting goods company headquartered in Forest Lake, Minnesota, about thirty miles from the University of Minnesota where Herb Brooks coached Verchota and eight other members of the U.S. team. The size “XL” garment is crafted primarily from white mesh with blue shoulders and red and blue striping at elbows and waist. Blue and red tackle twill form the bold “USA” lettering in six-inch block on the chest, and the number “27” that appears at each shoulder and reverse. White stars adorn each shoulder. A white tackle twill “Verchota” stands in three-inch block on the distinctive blue tackle twill nameplate across the back. A scattering of stick and board burns adorn the sleeves, and minor dye transfer set loose from the pouring sweat of exertion and anxiety tone a few letters of Verchota‘s surname. At the time of writing this article, the current bid was $37,500. Heritage Auctions’ Sports Collectibles Platinum Night Auction, New York is scheduled for February 22 – 23, 2014.